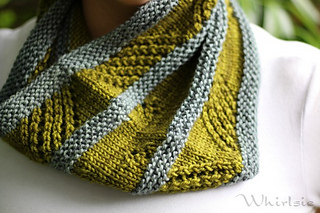 Nettlekiss is worked in the round using 2 colours. 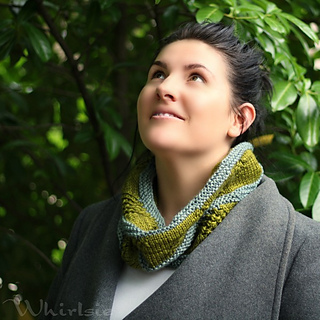 This cowl uses worsted weight yarn and both lace and textured stitches to create the stunning squishiness that you will love to have around your neck this winter! Another option is to use a single colour yarn, just combine the yardage required. Advanced Beginner - you will need to know how to knit, purl, work basic lace and work in the round.